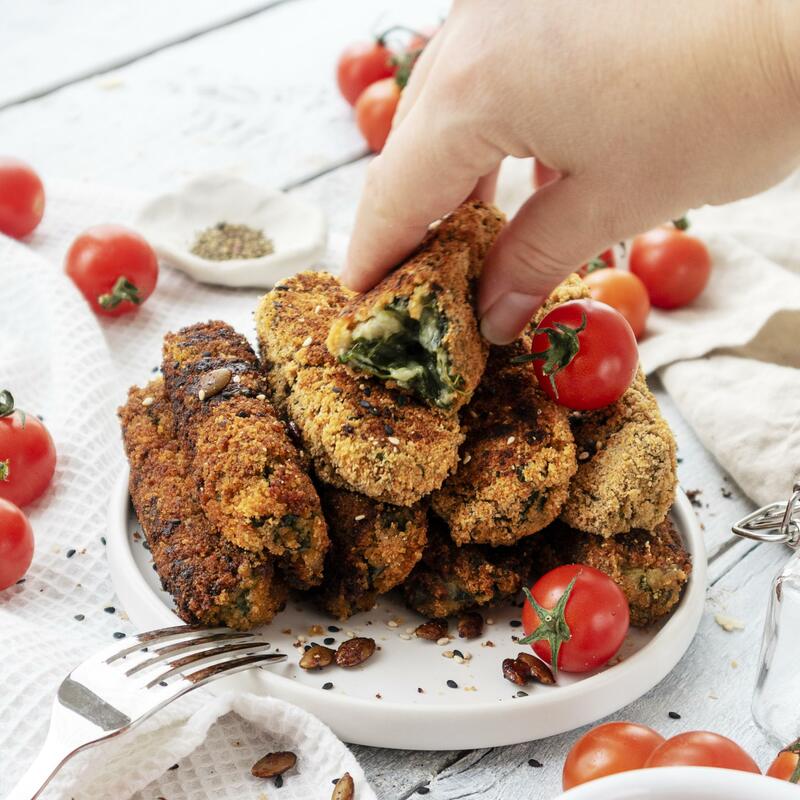 Gorgeously creamy, cheesy Vegan Spinach Croquettes – oh they have definitely been on my list of things that I haven’t enjoyed for the longest time! 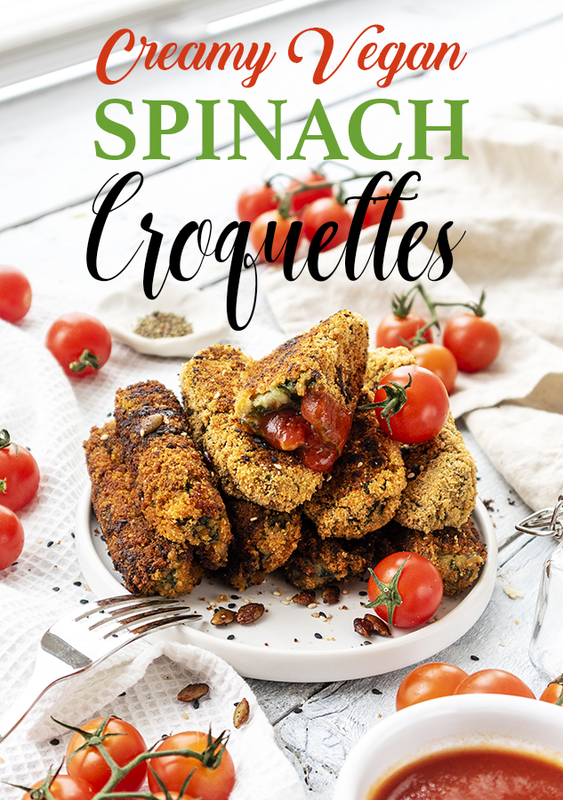 Until recently, when I first figured out that a simply cheesy sauce can become hard and gooey when placed in the fridge, so I thought: why not try making little vegan spinach croquettes out of it! 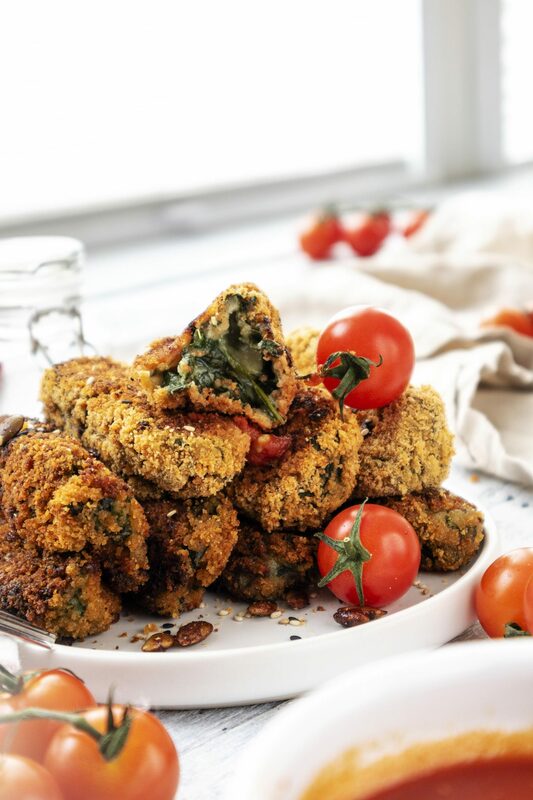 With a crunchy outside and a smooth creamy inside, these have turned out absolutely incredible, I have to admit! The trick? 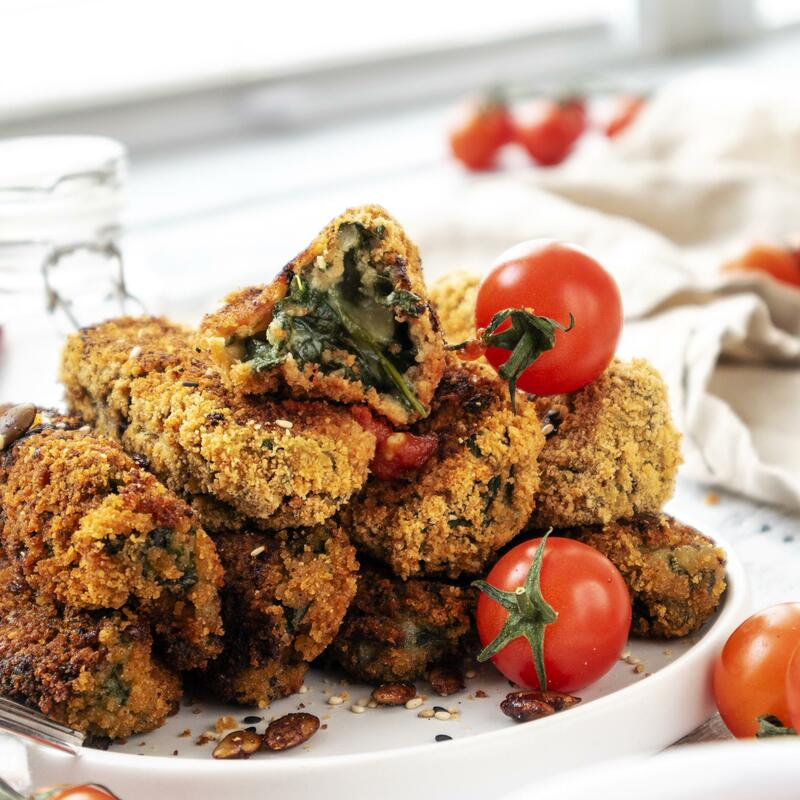 After blending the cheesy spinach filling in a pan place it in the fridge to cool down completely, it will automatically thicken and it’ll be possible to form little croquettes out of them. Ideally place a little bowl of water nearby, to wet your hands whilst you’re handling the mixture as it can otherwise turn into a sticky situation (literally). 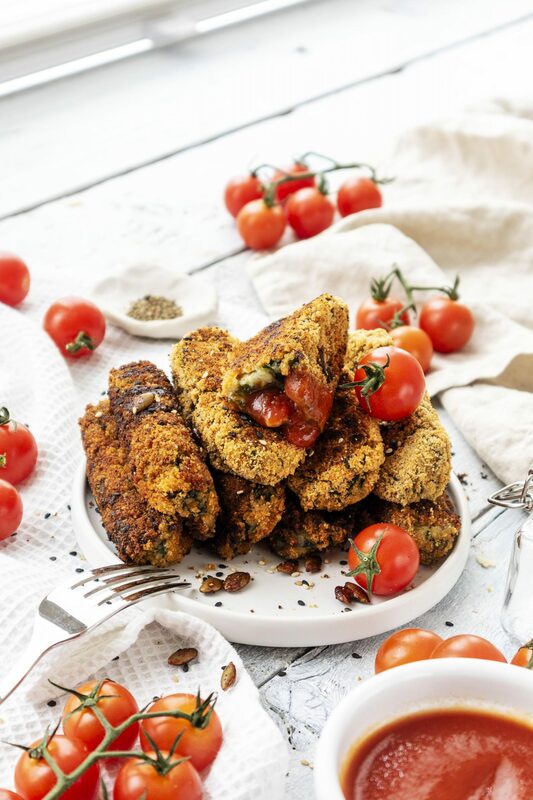 Once put into bite size chunks and gently shaped into a croquette, you can roll it in the mylk (I used Rebel Kitchen), then place it in the spiced breadcrumb mix. 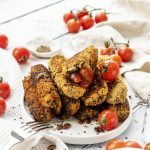 As you will see in the recipe below, I fried my croquettes first, and then placed the finished ones in the oven to keep them warm. 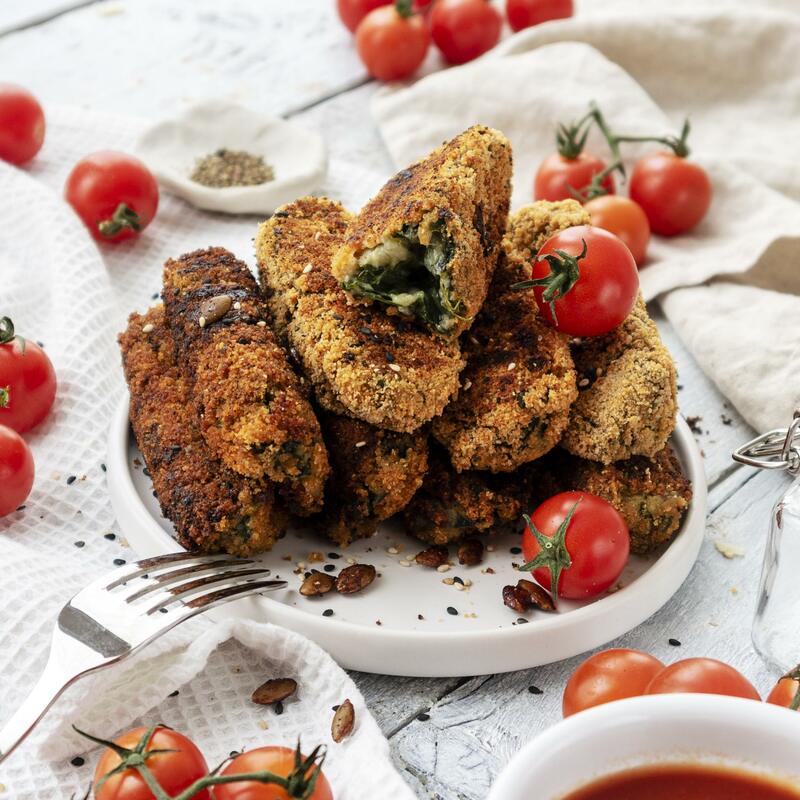 If you’d prefer to keep them a little lighter, you can of course simply bake the croquettes after the breadcrumb coating has been added. They’ll turn out just as delicious! 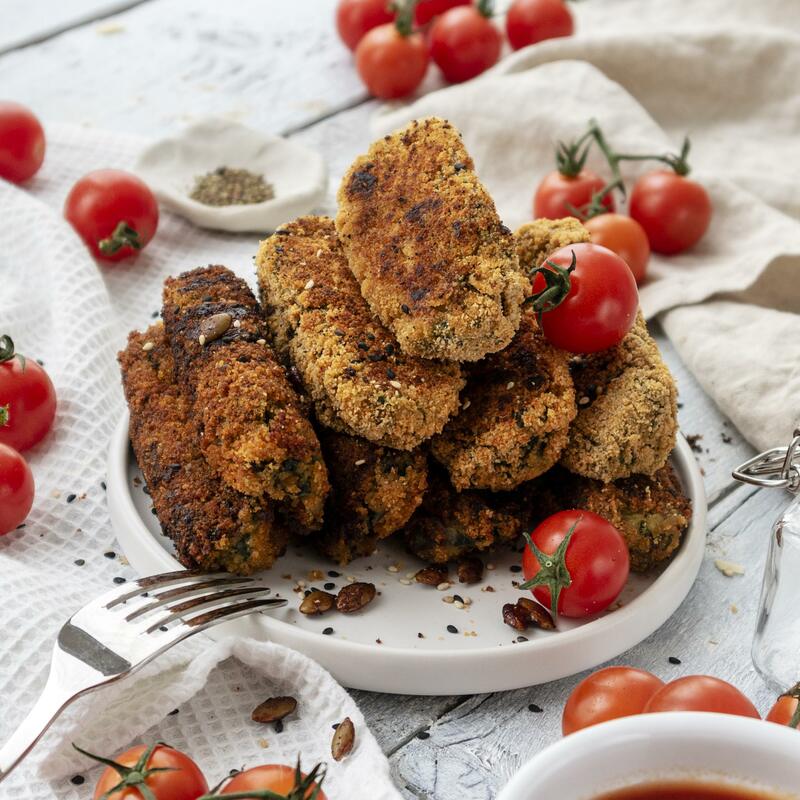 I personally love dipping these croquettes into a tangy sauce – in this case I blended 2 Tbsp Organic Tomato Ketchup with the juice of a lemon & 1 tsp mustard, yum! 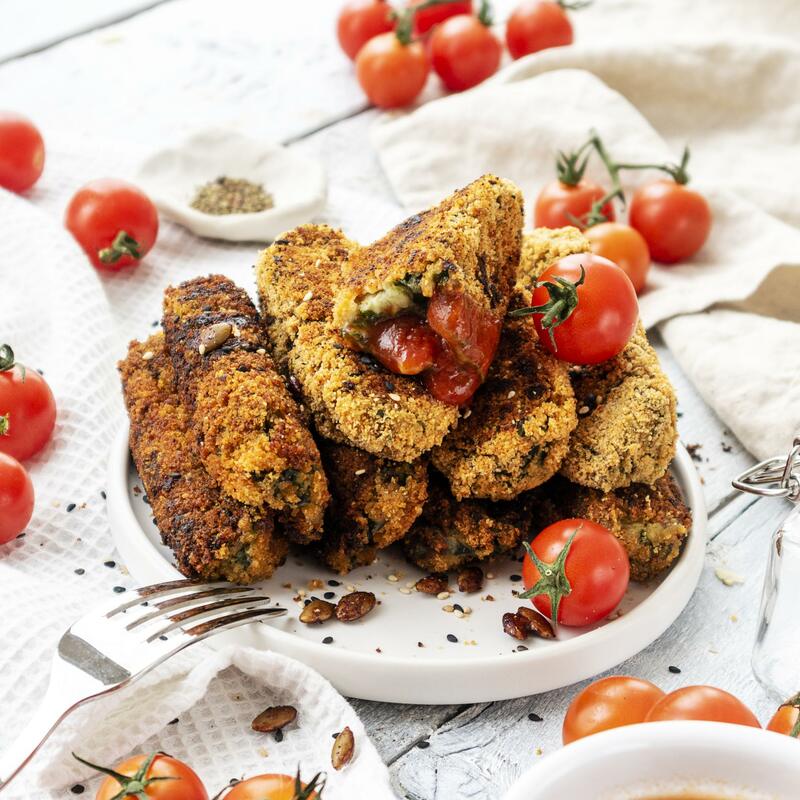 Check out more of my delicious vegan recipes!